Helene Krongold, SFV Chapter Chairman, rallying the troops. 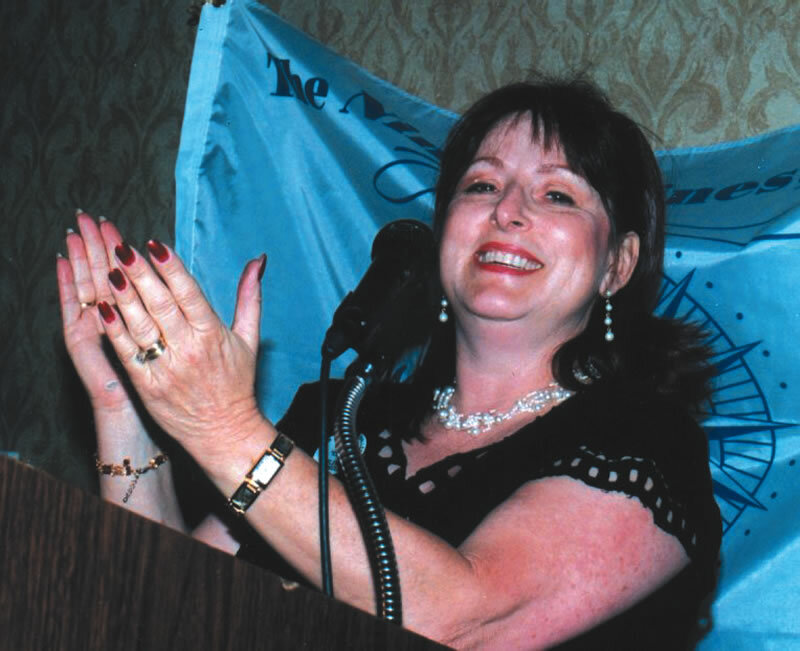 On April 27, the largest ballroom in the Airtel Plaza Hotel at Van Nuys Airport was the scene of “Flying and Friendship—An Evening to Remember,” which celebrated the fiftieth birthday of the founding of the San Fernando Valley Chapter of the Ninety-Nines. The Ninety-Nines, an international organization of 6,500 licensed women pilots with 180 chapters in 35 countries, was originally formed in November 1929. 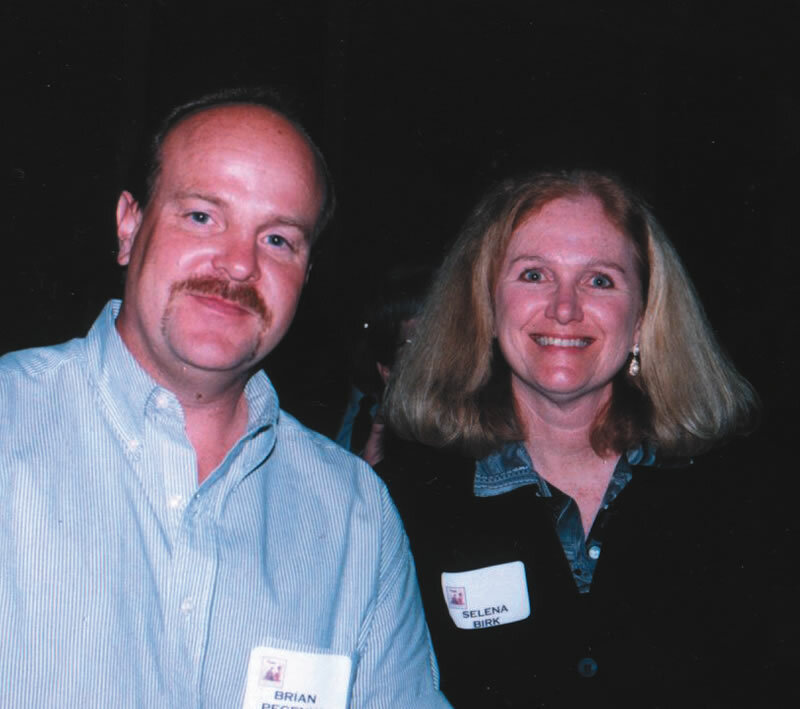 The celebration of the San Fernando Valley Chapter began the night before at a hangar party hosted by Paula and Michael Sandling. Festivities included an excursion on Saturday to the nearby Japanese Tea Gardens and a guided tour of the Autry Museum of Western Heritage. 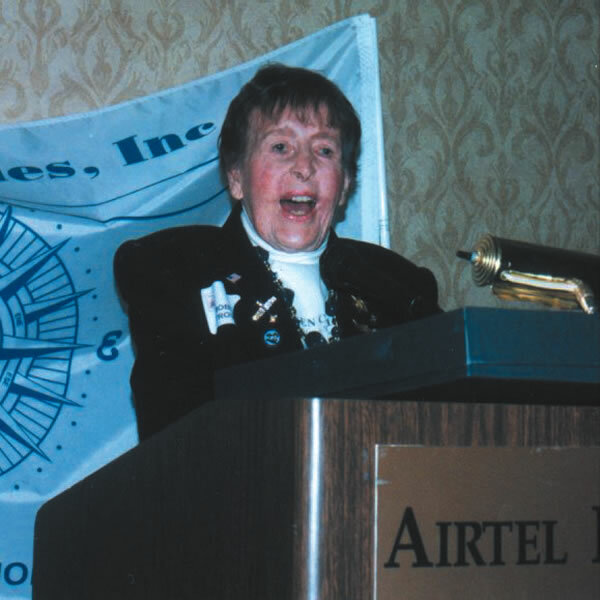 Michele Albiez chaired the gala event at the Airtel, attended by over 230 members and guests, including Bobbi Trout, 96, who set altitude and time-in-the-air records back in the late 1920s. Trout was one of several speakers. In February 1952, 13 former members of the Los Angeles Chapter of the Ninety-Nines provided a charter to the San Fernando Valley Chapter. Monthly meetings were held in members’ homes (now the chapter meetings are in a large room at the Airtel on the first Monday of each month), and cookie/cake rummage sales provided funds for air marking, fly-ins, socials and other activities. Some members participated annually in the All Women’s Transcontinental Air Race — dubbed “The Powder Puff Derby” by Will Rogers. 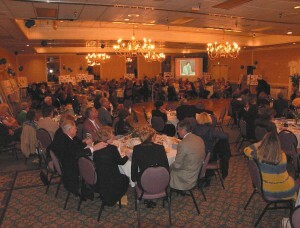 The 50th Birthday Celebration was held in the largest conference room at the Airtel Plaza Hotel. A souvenir program (written by a team headed by Albiez and sponsored by aviation racing legend and fixed base operation owner Clay Lacy) was provided to all attendees. It outlined, in text and photographs, the many activities and accomplishments of the chapter and its members, including air races of various types, scholarship programs, participation in air shows and seminars, and their help in raising funds for the placement of a large statue of Amelia Earhart at the North Hollywood Library. 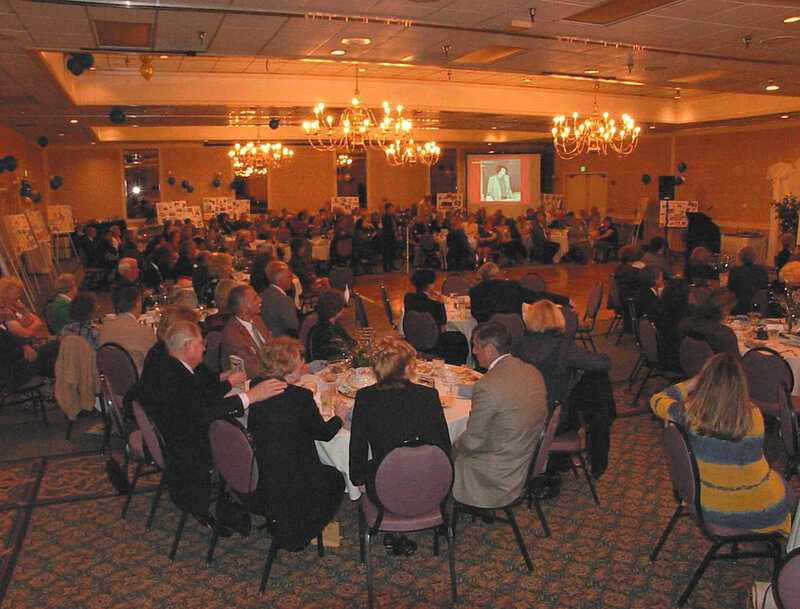 Seated at circular tables around a large dance floor, and surrounded by 30 large placard displays on tripods, attendees could watch, and often see themselves, in Paula Sandling’s “Video Memories,” projected onto a large screen at one corner. In another corner was a podium where Hostess Jaye Howes introduced special guests. The evening included dancing to the music of John Turk’s “You Should Be Dancing” soundboard, including line dancing led by Turk. Throughout the evening, Wendy Wiencek of Show Biz Photography snapped photos to capture the ambience of the outstanding evening. Brian Pecenka, Van Nuys Airport superintendent of operations, and Selena Birk, Van Nuys Airport manager, enjoying the celebration. For further information about the SFV Ninety-Nines, contact Helene Krongold at (310) 745-1130 or by email at 2pilots@attbi.com, or go to www.sfv99s.org. If you’re planning a special event, John Turk can be reached at (818) 705-4198, and Wendy Wiencek at (310) 385-1383. Aviation legend Bobbi Trout spoke about flying from Los Angeles area airports in the late 1920s, setting various altitude and endurance records.